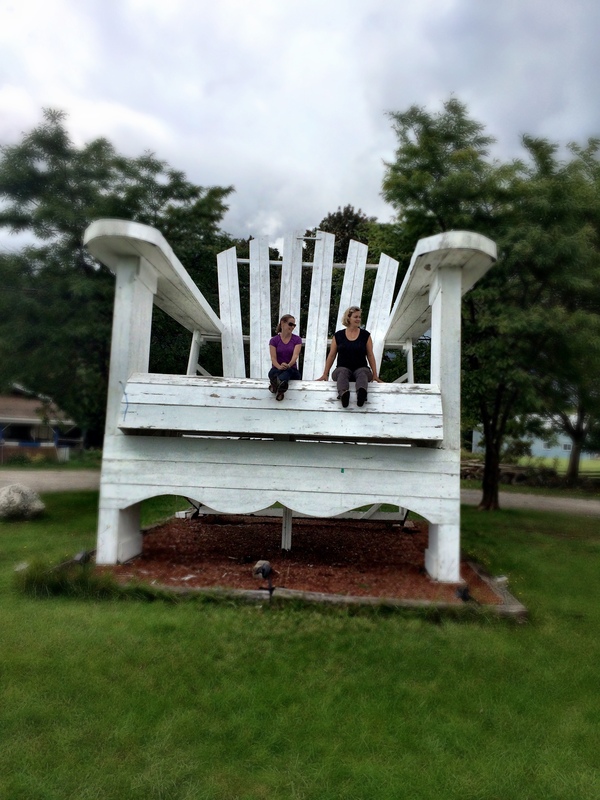 This past weekend I found it: the mother of all Muskoka chairs. No, the photo was not photoshopped. Although when my kids saw the photo there was some confusion as to whether it was real or not. Thank goodness my husband was able to clarify the situation for the kids. A major sigh of relief was felt by all. My girlfriends and I were all laughing before, during and after I made my way up to the seat of the chair. 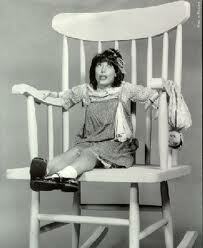 We laughed not only about the size of the chair but also my total unmasked fear of climbing up so high. I will not name it acrophobia but talk to me in about 10 years and it is well possible we can label my phobia as such. At some point in the last years I have lost that sense of fearlessness that I once had. And now, when attempting to scale this Muskoka chair in Birkenstocks (not the best idea), language reserved for a sailor spewed from my mouth. Every word was spewed from a place of love and fear … not from anger (this disclaimer is meant mostly to to calm my mother’s fears that she did not raise me like a true lady). Only when my friend and I were back safely on the ground and in the minivan heading back to the safety and security of the suburbs did I realize the chair reminded me of Sesame Street. Now I need to find Big Bird. Previous Post I am a New Mom Again! Next Post Why Hadn’t I Thought of That? I believe at some point in our lives we have all felt like the world is so very big and as we get older sometimes we lose that feeling. Well, thank goodness for this mega Muskoka chair, I was able to feel it again. I love this pic, it reminds me of that giant Astrid Lungrund furniture in Denmark….can’t believe it’s on someone’s lawn! I have never seen the furniture in Denmark but I think I will have to put it onto my bucket list.